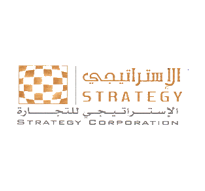 Strategy Corporation was founded in year 1991 to play a vital role in the growth of the Automotive industry in Saudi Arabia. It provides a state-of-art tailored Automotive leasing solutions throughout 17 key cities in the Kingdom with 3 main showrooms in Riyadh, Jeddah and Dammam. Strategy Corporate in association with more than one prestigious bank in the kingdom have shaped the grand success of Abdullah Al-Bazai Investment and its subsidiaries, as it always acted as a powerful sales engine for the businesses by generating bulk orders on a regular basis.